It is not disputed that earplugs protect the wearer from the noise exposure in an industrial, musical, sports and motorsport setting. The single-use disposable earplug remains the most common type of hearing protection in use today. In fact, disposable hearing protection is still commonly used in workplaces despite them being commercially introduced as the first foam disposable earplugs over 40 years ago. Single-use disposable ear plugs remain popular because they’re perceived to be inexpensive -although they are not. Disposables are not cheap when compared to use over the expected lifetime of a custom moulded earplug. Allowing for 2 breaks and lunch, the user of disposable earplugs will use 4 pair per day. (Disposable hearing protection should never be reinserted once removed). 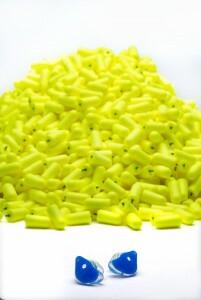 When allowing for bulk buying, generally earplugs can be purchased for about 15¢ per pair. 1 pair of custom earplugs is generally less than $150.00 for the expected 5 year life of the earplugs (the cartilage in our ears continues to change throughout our lifetime and subtle changes can affect the seal of the protectors over time, therefore it is recommended that new moulds be taken minimally every 5 years). Along with the REAL COST, the other unfortunate and negative aspects of single-use earplugs are – they contribute to waste production and landfill. It is no secret that there is a shortage of landfills across North America; plus many companies including Custom Protect Ear (CPE), are trying to reduce their carbon footprint by adopting sustainable practices and producing ecofriendly products to eliminate waste. 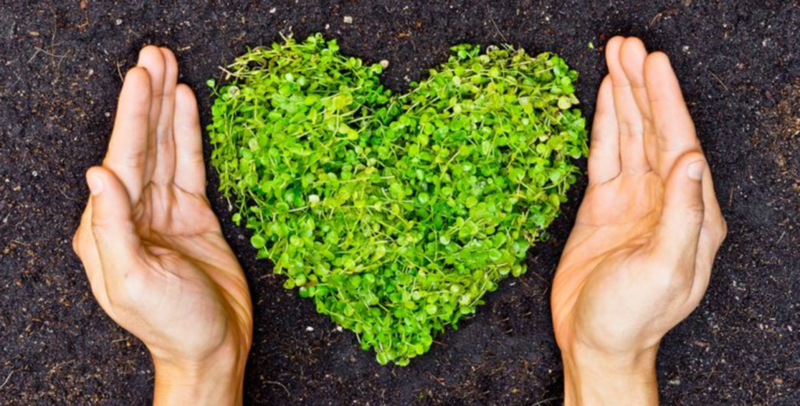 Our company, CPE, is committed to becoming more sustainable by working to eliminate or offset any adverse effects our business may have on the planet. Reducing energy consumption and by purchasing strictly green power: generated from renewable resources. Reducing landfill waste by making hearing protectors with a 5 year life span and by reusing, recycling or reclaiming waste materials whenever we can. Making all marketing materials available in digital formats that can be supplied over the internet; and when printed, only on post-consumer papers with environmentally sensitive inks. 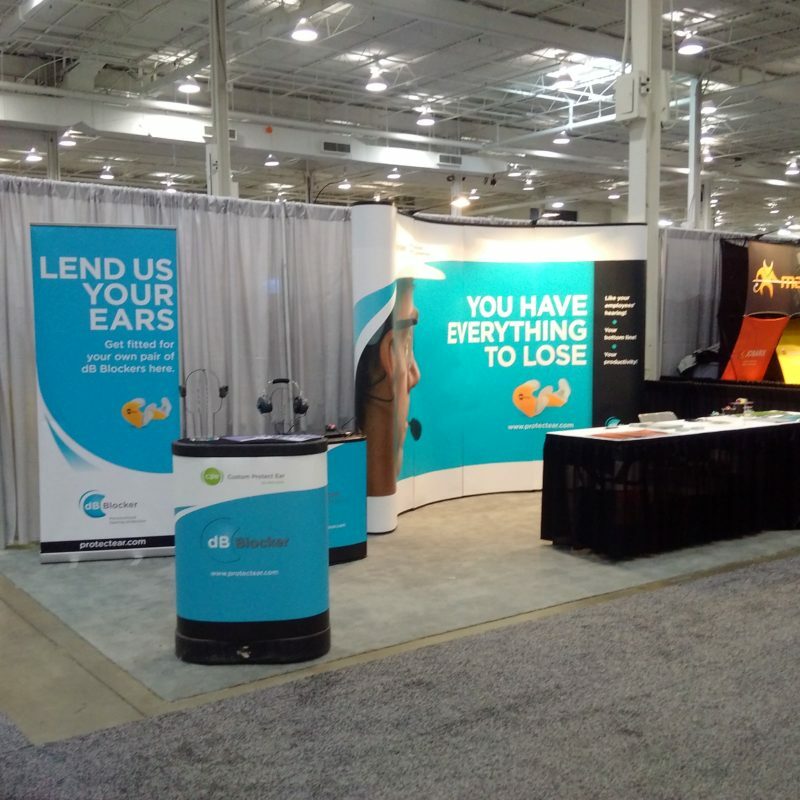 If you do the math at a 100% conformance, that is a staggering 100,000 pairs of used earplugs that are being sent to the landfill by this one company each year. Within 5 years, the company will send one million single non-biodegradable earplugs to the landfill; a problem that is further compounded when you also consider that most earplugs are packaged in a box or provided in additional individual plastic wrappers. The earplug itself is unlikely to be biodegradable and the actual amount of landfill created by one employee wearing two pairs a day during their employment is staggering; times this by the number of employees and the number of businesses within the US and the financial cost increases and the environmental impact becomes apparent. Fortunately, there is a solution that reduces waste, saves money and retains the required level of protection. The solution is dB Blockers™. 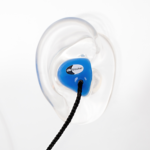 dB Blockers™ are a custom moulded hearing protector that is manufactured by Custom Protect Ear. 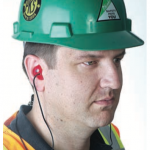 dB Blockers™ are hearing protection products made to fit the individual’s ear exactly, providing the worker with a custom hearing protector (earplug) that can be worn all day long, while receiving “REAL WORLD” (what the wearer actually receives) attenuation. 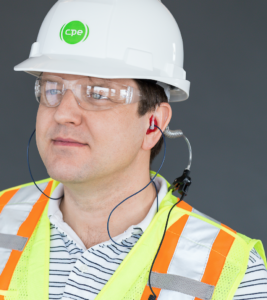 Some of you may not know that when choosing a Hearing Protection Device (HPD) for your company, there is more than “a good product” to look for when selecting a hearing device for your workforce. People should wear a hearing protector if the noise or sound level at the workplace exceeds 85 decibels (A-weighted) or dB (A). Hearing protectors reduce the noise exposure level and the risk of hearing loss. If hearing protection is required, then a complete Hearing Loss Prevention Program should be instituted. A Hearing Loss Prevention Program includes noise assessment, hearing protection selection, employee training and education, audiometric testing, maintenance, inspection, record keeping, and program evaluation. The effectiveness of hearing protection is reduced greatly if the hearing protectors do not fit properly or if they are worn only part time during periods of noise exposure. To maintain their effectiveness, they should not be modified. Remember, radio headsets are not substitutes for hearing protectors and should not be worn where hearing protectors are required to protect against exposure to noise. Highlight the quality of the product? Have Customer and After Sales service? Meet the comfort and wear requirements? Have a Warranty and Product Guarantee? The standard most recognized in the US market is the American National Standards Institute (ANSI). The Hearing Protection Standards outline noise safety steps when noise cannot be sufficiently reduced through engineering. The Current Standard is ANSI/S12.6-2016; Methods for Measuring the Real-Ear Attenuation of Hearing Protectors. This standard specifies laboratory-based procedures for measuring, analyzing, and reporting the passive noise-reducing capabilities of hearing protectors. More Standards found here. The Canadian Standard Association (CSA) standard on Hearing Protection is the CSA Z94.2 – Hearing Protection Devices legislation. This new version of the standard meshes more closely with US approaches, recognizing the reality of how closely our two economies are entwined and provides more guidance to health and safety professionals needing reliable information on how to select hearing protection. It should become the new standard for due diligence in selecting and using hearing protection in Canada. Insertion loss (not the same) ( the difference between levels inside and outside of the ATF-Acoustic Test Fixture). When it comes to Hearing Protection Devices there are ample products out in the market that range from ear muffs, disposables to custom hearing protection. However, when it comes to quality it is important to look at two elements; 1. adequate protection and 2. communication safety. When it comes to hearing protection, not all devices are created equally. Knowing the fitting process helps determine the adequacy of the product. For Custom Protect Hearing, the fitting process usually takes about 10 minutes and typically begins with one of their highly trained and certified experts visiting the customer’s plant or workplace in order to do the fitting on-site. To begin, the ear is inspected to make sure it is safe to take an impression. Then an oto-dam is placed inside the ear to protect the eardrum. Impression material is prepared and carefully injected into the client’s ear (up to the depth of the oto-dam). The material hardens quickly, and moments later, the impression is gently removed. The impression creates an exact replica of the wearer’s ear canal and outer ear. This ensures the custom hearing protector seals the ear both in the canal and around the ear. And for interpersonal communication purposes, the proprietary frequency tuned filter allows communication without removing the HPD. People can communicate in noise more effectively while wearing their dB Blocker™ hearing protection, than if they were to remove them. Your Hearing Loss Prevention Program will not interfere with productivity, rather it will enhance it. This process uses a custom hearing device called the dB Blocker™. What are their Corporate Values? What is the process to handle Product Replacements and Returns? Is there a 1-800 number you can call? Are there forms you can fill out to order additional hpd’s on their website? custom HPD’s, fit and comfort are crucial to the wearer’s experience. Is there any type of FIT Warranty that allows for the individual to ensure the earpiece fits and seals properly? A FIT Warranty (guaranteeing comfort and wear) is particularly important to a Hearing Loss Prevention Program as it is one of the things that ensures compliance and that the individual will wear the HPD, thereby decreasing any type of liability or workplace harm. How many years is the product warranted for? Generally, custom HPD’s have a 1-3 year material warranty from the date of manufacture. Does it cover any tearing, cracking, or splitting of one or both earpieces? The warranty claim process should be easy. Ideally, when dealing with a warranty issue – you should be able to call and deal with a real person who can walk you through the claim process. By going through these 5 steps when selecting an HPD manufacturer, it will make your life easier, and remove any concerns when it comes to protecting your employees hearing. To learn more about selecting an HPD vendor please contact us, and one of our representatives will be able to answer all of your questions. DOES ANYONE LIKE LOUD NOISES? Loud noise at work can damage people’s hearing and lead to safety risks. What harm can noise cause? Hearing harmful noise at work can cause permanent and disabling hearing damage. Hearing loss can be gradual due to exposure to noise over time, but may also be caused by sudden, extremely loud noises. 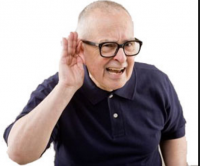 Hearing loss damage is disabling as it can prevent people from comprehending speech, keeping up with conversations or even using the telephone. Hearing loss is not the only problem that may occur. People may develop tinnitus (a ringing, whistling, buzzing or humming in the ears) which is a distressing condition that can result in disturbed sleep. Noise can create safety issues at work interfering with communications and making warnings harder to hear. It can also reduce people’s awareness of their surroundings. Noise issues can compromise safety – putting people at risk of injury or death. Depending on the level of risk, companies should: take action to reduce noise exposure; and provide employees with personal hearing protection. Other duties under the Regulations include the need to: make sure the legal limits on noise exposure are not exceeded; maintain and ensure the use of equipment in place to control noise risks; provide employees with information, instruction, and training; and carry out health surveillance (monitor workers’ hearing ability). The Regulations apply where work activities expose people at work (your employees or other workers affected by your work activities) to risks to their health and safety from noise. your industry is known to have noisy tasks, e.g. construction, demolition or road repair; woodworking; plastics processing; engineering; textile manufacture; general fabrication; forging or stamping; paper or board making; canning or bottling; foundries; waste and recycling; noises due to impacts (such as hammering, drop forging, pneumatic impact tools etc. ), explosive sources such as cartridge-operated tools or detonators, or guns. 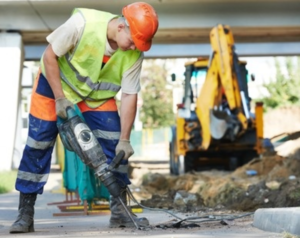 Situations, where you will need to consider safety issues in relation to noise, include where you use warning sounds to avoid or alert to dangerous situations; where working practices rely on verbal communications; and where there is work around mobile machinery or traffic. As an employer you have identified NOISE AT WORK, you should carry out an assessment to decide what action is needed, and develop a HEARING LOSS PREVENTION PLAN. A risk assessment means more than just taking measurements of noise – measurements may not even be necessary. A risk assessment should identify where there may be a risk of noise and who is likely to be affected. The assessment should include: identifying any risks to health; any risks to safety; contain an estimate of an employee’s exposure to noise (see ‘Noise exposure levels’); identify what needs to be done to comply with the law. You should determine whether noise-control measures and/or personal hearing protection are needed; or whether working practices are safe, and identify any employees who need to be provided with health surveillance and whether any are at particular risk. You must record the findings of your risk assessment. You must also record the action you have taken, or intend to take, to comply with the law. You should review your risk assessment if circumstances change or if it is no longer valid. For example: if the work changes and this affects workers’ noise exposure, or there are changes to the availability, applicability of noise-control measures, then a review is necessary. You should conduct a review often – never leaving it longer than two years between reviews. Wherever or whenever there is noise at work, you should be always looking out for better protection against noise such as better hearing protection devices, equipment and/or working methods which would reduce the noise or ensuring people are exposed for shorter periods of time. The good news is that if you have identified noise is an issue, there are ample product solutions that can fit and reduce your noise problems. Ask about dB Blocker™ personalized hearing protection products. dB Blockers™ are hearing protection products made to fit an individual’s ear exactly, giving the wearer a custom hearing protector (earplug) that can be worn all day long, while receiving “REAL WORLD” (what the wearer actually receives) attenuation. Take control of the noise, before it controls your workplace! As an employer, it is vital to your role to keep up with what is good practice or the standard for noise-control within your industry, (e.g. through your regulating bodies, your trade association, or machinery and equipment suppliers). Where your employees are likely to be exposed at or above the upper exposure action values, you must take action to reduce noise exposure with a planned program of noise control. Even where noise exposures are below upper exposure action values, you should take action to reduce the risks and find appropriate hearing protection devices, thereby reducing exposure further. Any action you take should be ‘reasonably practicable’ – in proportion to the level of risk. If exposure is below lower action values, the risk is low and it is likely no action is required; you should continue to practice diligence and consider taking action if there are simple, inexpensive practical steps that would further reduce risk. The two-day show focuses on building valuable relationships and growing sales opportunities. Partners in Prevention’s robust show floor will host over 400 booths featuring the latest in market trends, products and services.Workshops. Networking. New products. Health & safety peers. It’s all at Partners in Prevention 2017 Health & Safety Conference & Trade Show. Reserve your spot today!